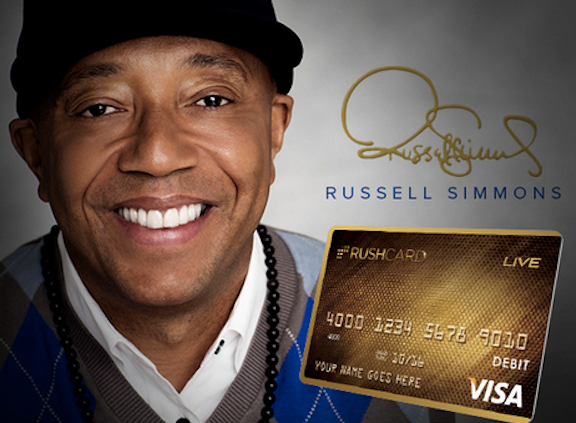 While prepaid credit cards can serve as a lifeline for millions of unbanked Americans in need of an alternative to traditional banking, Russell Simmons’ RushCard recently left thousands of consumers stranded without their funds because of a technical glitch. Consumers who depend on the RushCard to pay bills, buy groceries and make other purchases began experiencing problems with the system last week, with issues persisting on Monday, WRAL.com reports. Among other things, users reported being locked out of their accounts and that their balances suddenly showed $0. RushCard CEO Rick Savard blamed the disturbance on a “technology transition” that began late on Oct. 11. At the time, Savard said the company had “restored many of our customers’ accounts,” and RushCard posted updates on the issue throughout the weekend, assuring customers their information was never at risk. And for the company, making it right apparently involves persuading customers to stick around by dropping the often high fees associated with the cards – for a limited time. The company’s mea culpa doesn’t appear to be helping customers who continued to express concerns about their inability to access their funds on Monday. #RushCard has been holding my money for a whole week!!! @RushCard @UncleRUSH I don't care about no fee!!!!! Can I get my money please??? RushCard continued to reply to consumers on social media Monday, but has not provided an update on the situation.